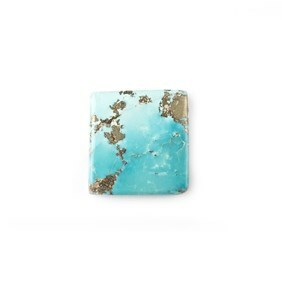 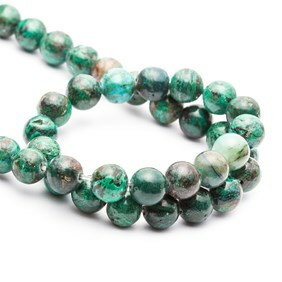 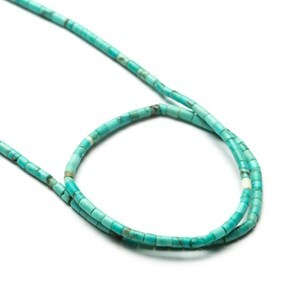 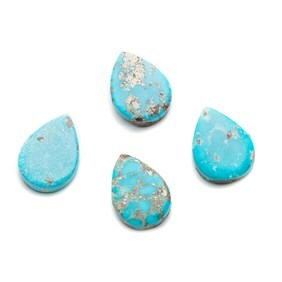 Turquoise is thought to be one of the first gemstones ever discovered, it's a hydrated phosphate of copper and aluminium, which has a unique bright blue/green colouring. 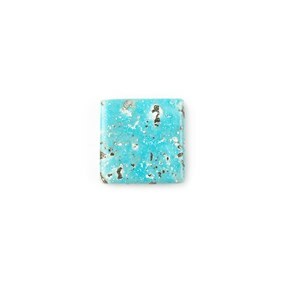 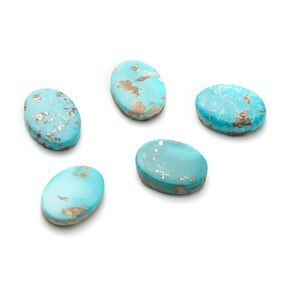 Turquoise is an opaque gemstone, often mottled with veins of its host rock. 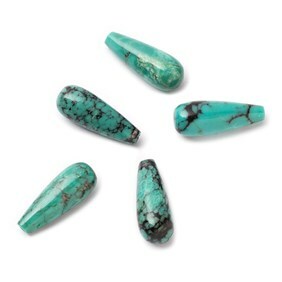 This popular gemstone was used by ancient Egyptians, Aztecs and Native Americans for art and jewellery. 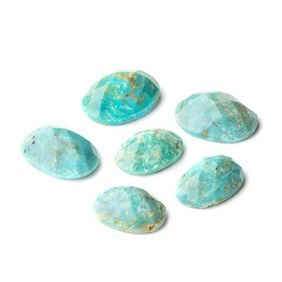 It is mined worldwide in Iran, China, USA, Australia, Chile and Mexico. 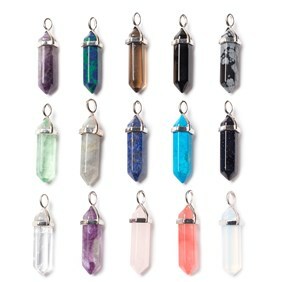 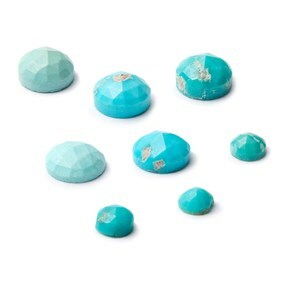 It measures 5-6 on the Moh's scale of hardness. 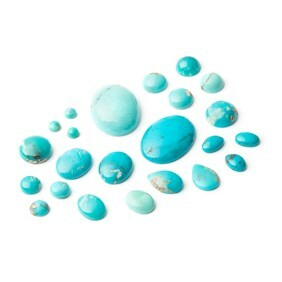 At Kernowcraft we have a huge range of turquoise gemstones including turquoise cabochons including Chinese turquoise, Tibetan spiderweb turquoise and turquoise mosaic. 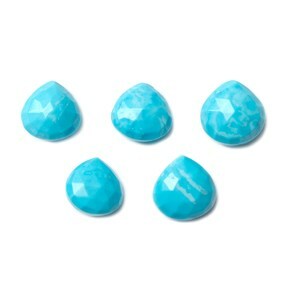 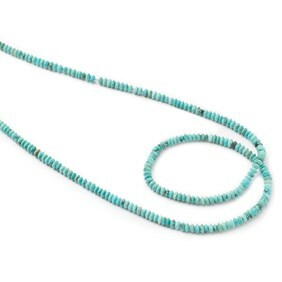 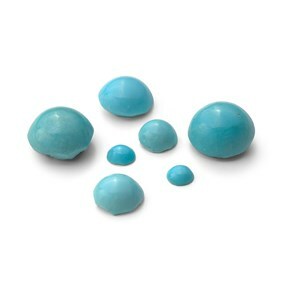 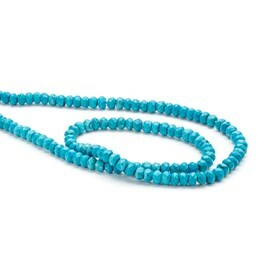 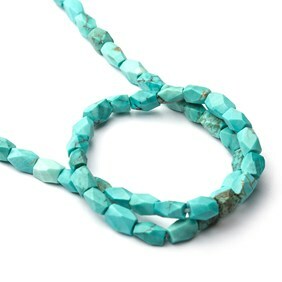 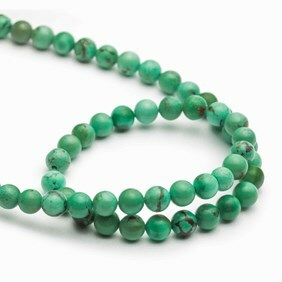 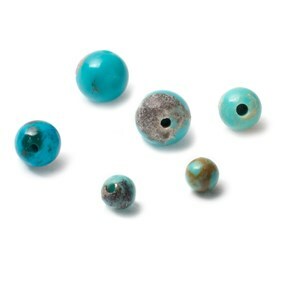 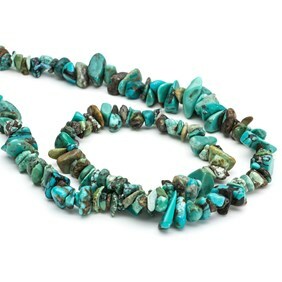 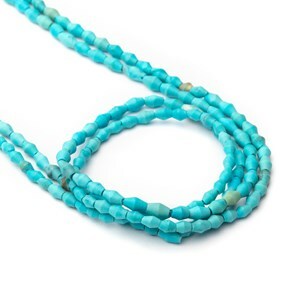 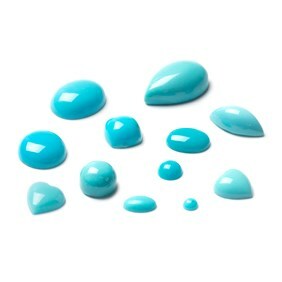 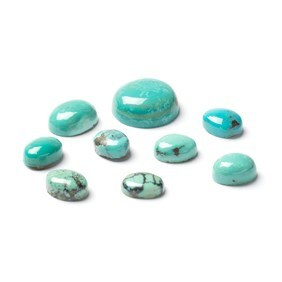 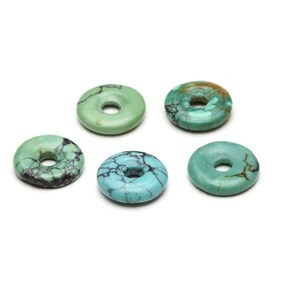 We also have a selection of turquoise faceted stones, turquoise donuts and turquoise beads. 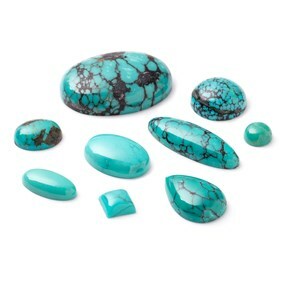 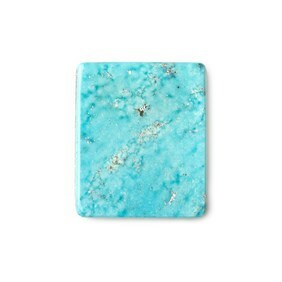 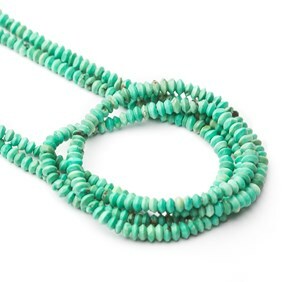 Less than 3% of the turquoise available on the market is totally natural. 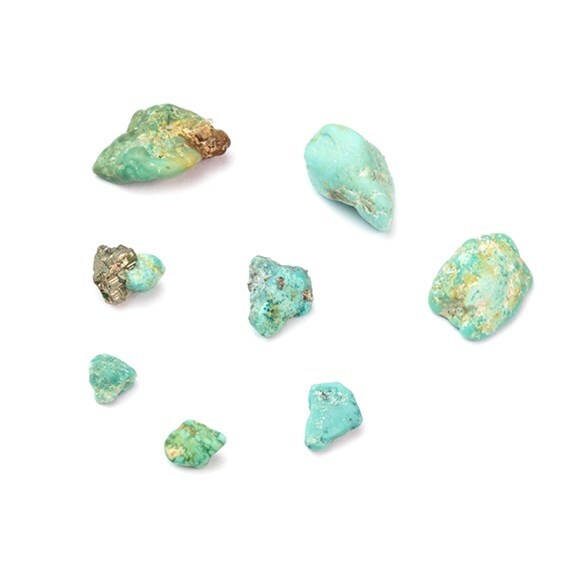 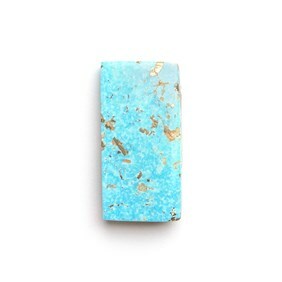 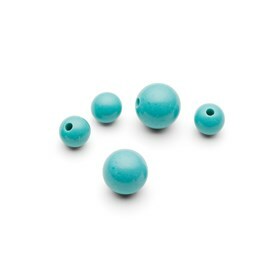 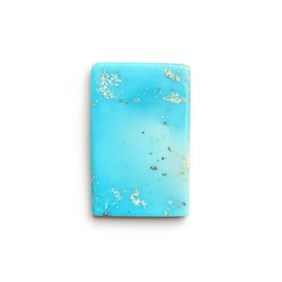 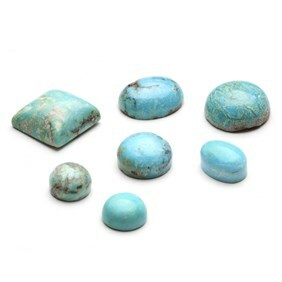 We're proud to supply a range of untreated, nature turquoise available as cabochons, faceted stones and one-off pieces for those special designs. 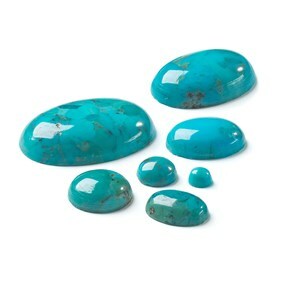 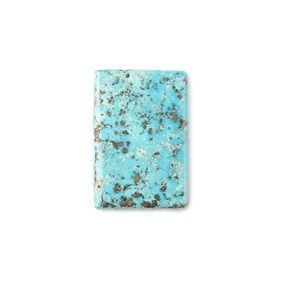 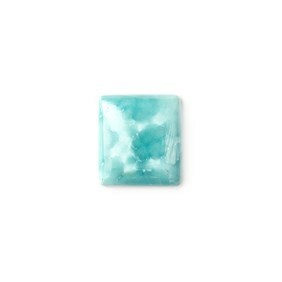 Turquoise is the birthstone of December and the 11th anniversary stone, making it a great gemstone for a special gift. 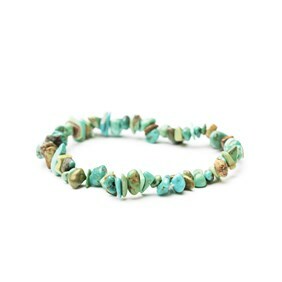 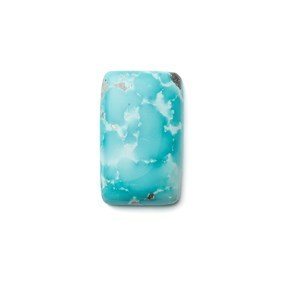 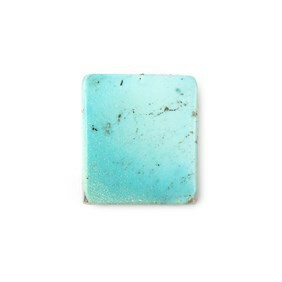 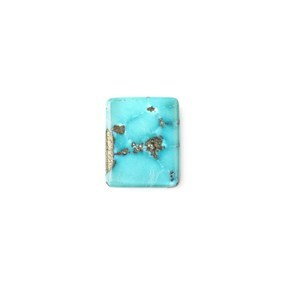 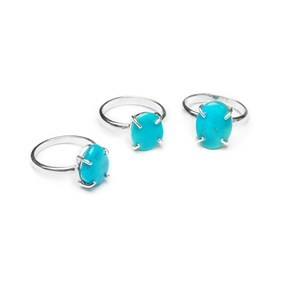 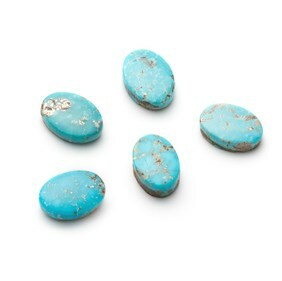 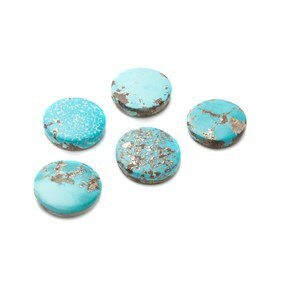 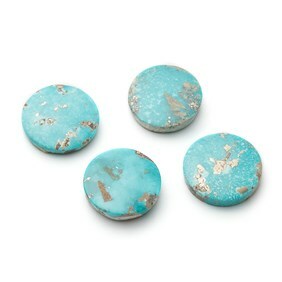 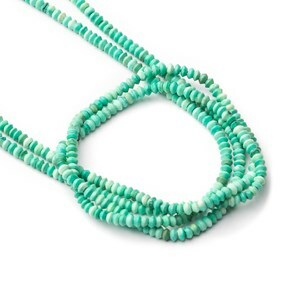 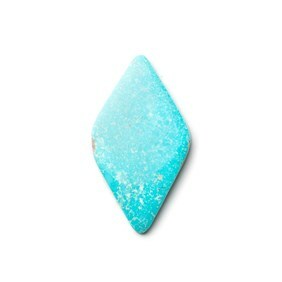 Turquoise is known as the master healer stone, it is also said to signify wisdom and truth.